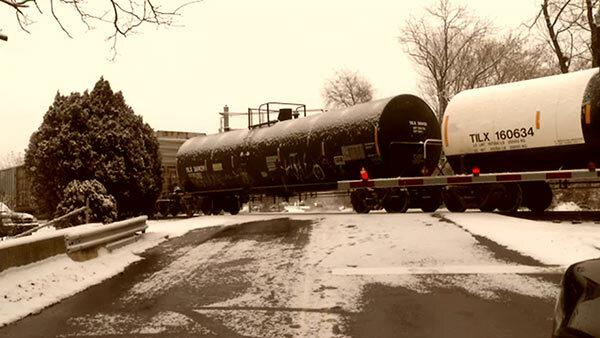 OGDEN (WPVI) -- A large freight train is stuck in Ogden, Delaware County. This all started around 11 a.m. Saturday when a train traveling north from Delaware lost a section of cars after a hydraulic pump failed. The intersection of Meetinghouse and Naamans Creek Road is shut down, as the train is blocking the intersection. Crews are working to remove the train. There is no danger to the public.